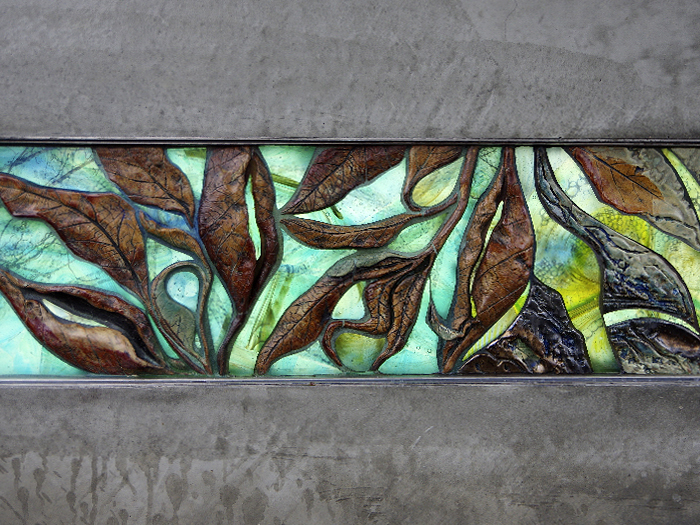 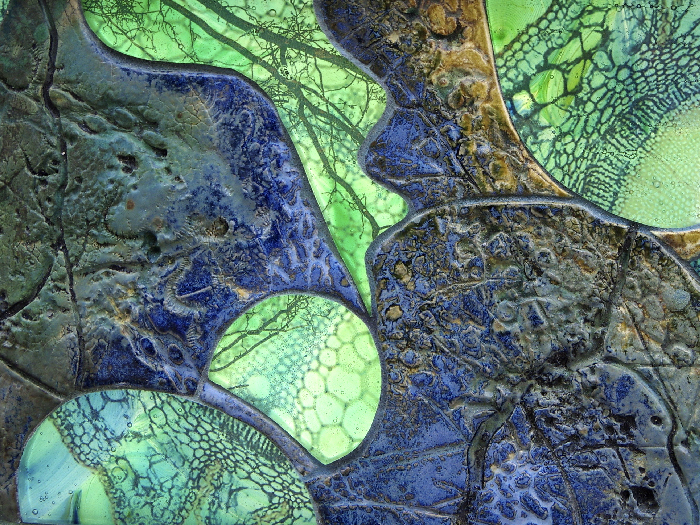 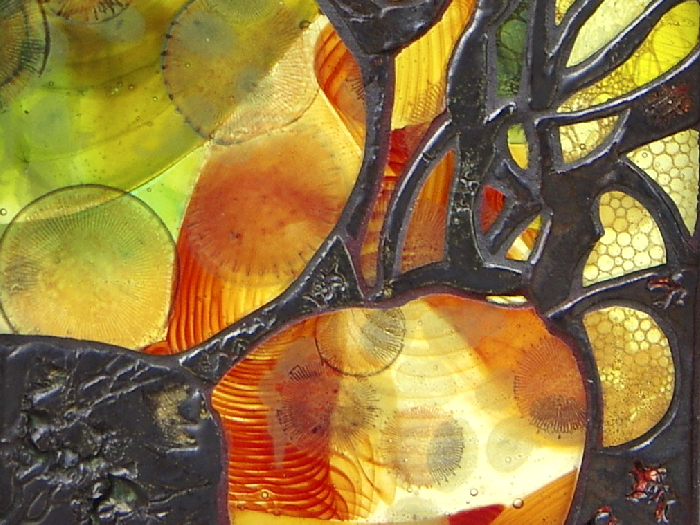 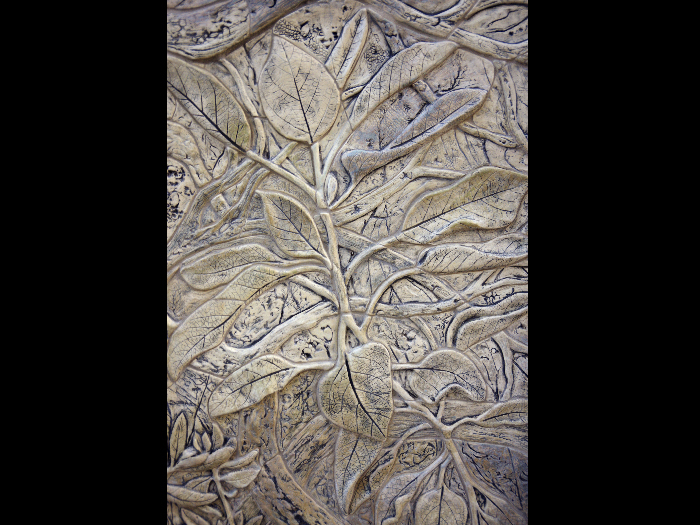 Hand-sculpted ceramics and hand-crafted multi-layered kiln-cast glass are combined to form linear windows into nature. 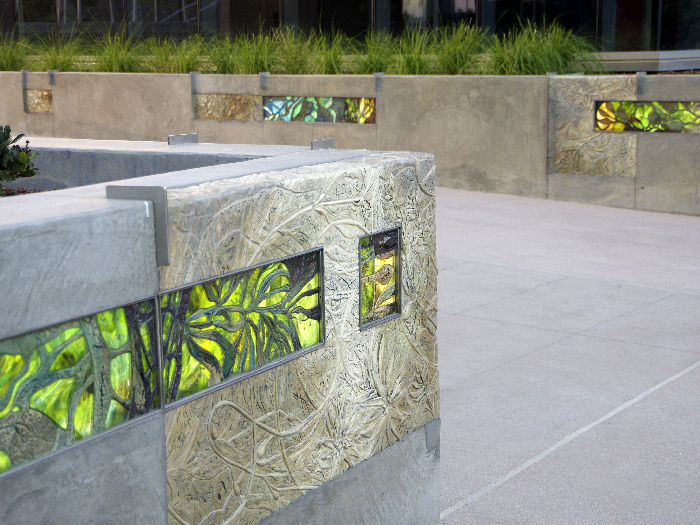 Monochromatic sculptural ceramic panels of native plants further integrate the art into the concrete planter walls of the entry and in the corten steel of the courtyard fireplace. 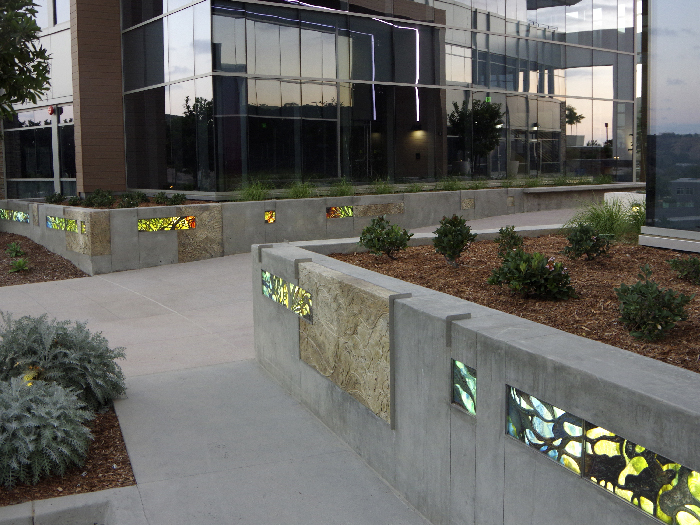 Stainless steel bars highlight the art and double as skate-stoppers. 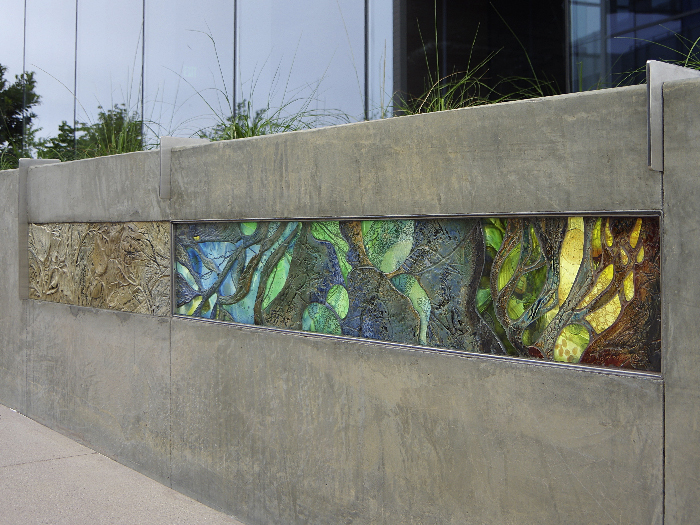 In the evening, the glass is illuminated to reveal layers of imagery, with ceramics forming flowing organic silhouettes. 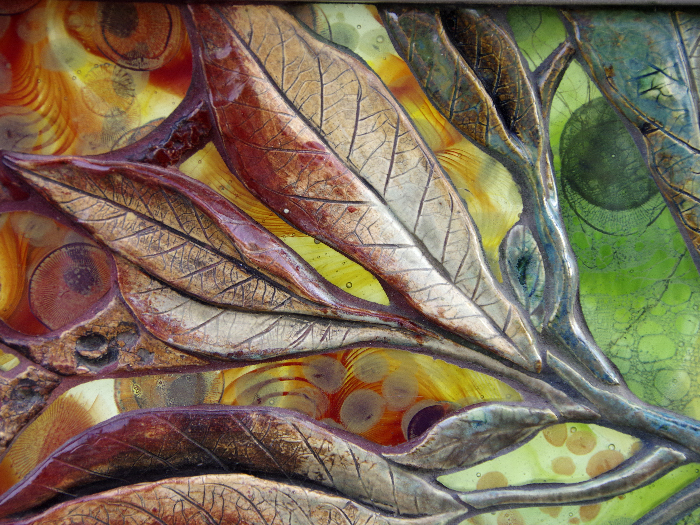 During the day, the ceramics and glass combine to form harmonizing shapes, colors and textures. 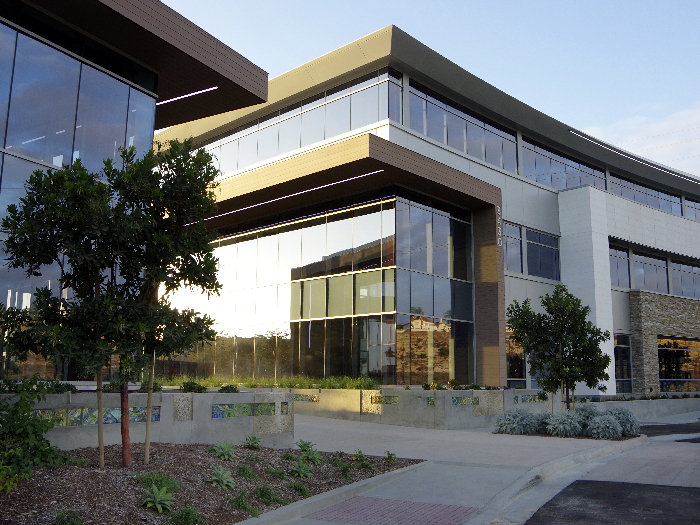 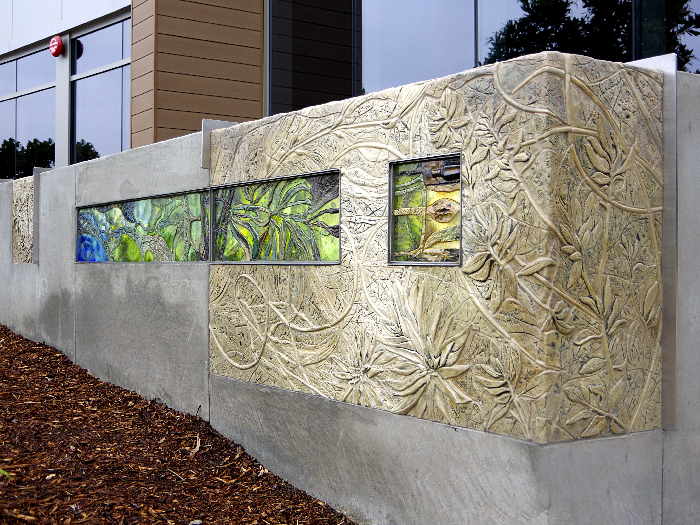 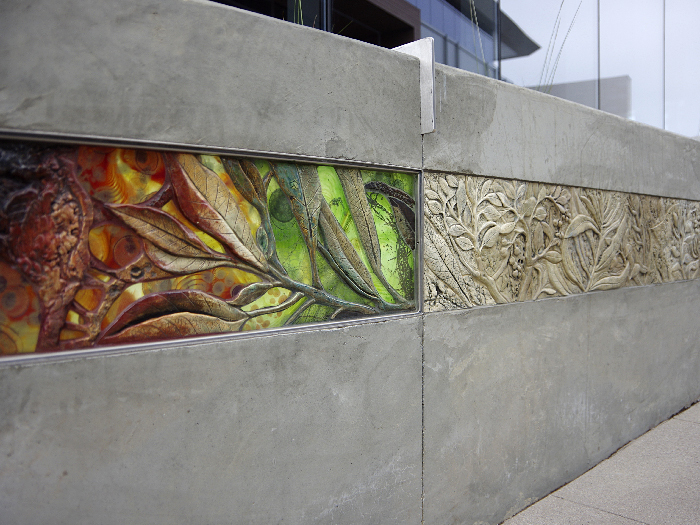 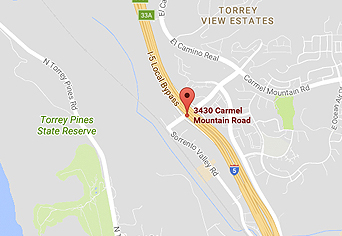 The interplay of the ceramic and glass are inspired by microscopic images of native plants, fossilization of organic matter, and aerial views of the estuary and Torrey Pines State Reserve.